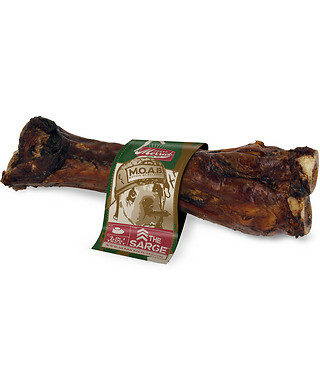 Recently I had the opportunity to order our pooch some necessities from Mr. Chewy. Bandit was in need of some Frontline. 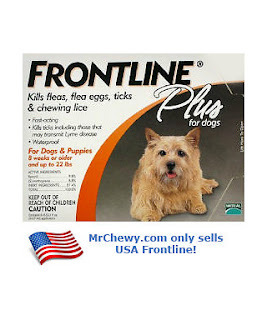 We use the Frontline for Small dogs since Bandit is only around 16lbs. I ordered the 3 month supply for $38.99. Since my poochie is super picky I had a hard time deciding what kind of treats to order him. 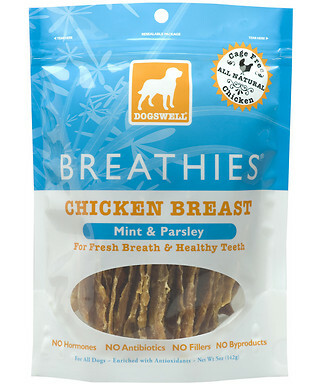 I ended up with Dogswell Breathies Chicken Breast Dog Treats. I placed my order with Mr.Chewy on 2/16 around 3pm and it arrived via Fed Ex 2/18 around 11 am! how's that for fast shipping? At Mr. Chewy you get FREE 1-2 day shipping on any order $49 or more. 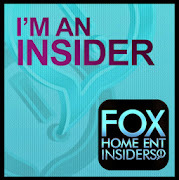 I have to say that the super fast shipping, and the variety of dog treats,food, and flea and tick medicine are great! We will be ordering Bandit's pet needs from Mr. Chewy from now on! !